Would NAV client be able to run on a Raspberry Pi? I wonder. 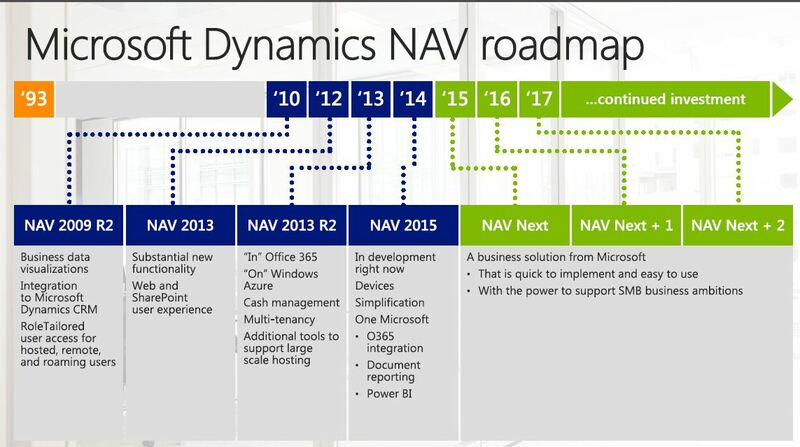 The road-map hints a bit towards the advent of the service model like Windows (http://www.theverge.com/2015/5/7/8568473/windows-10-last-version-of-windows). Nope. Navision will not run on Raspberry right now :). NAV already has a Service oriented Architecture where any functionality of NAV can be exposed as Service. Then the same can be accessed by any third party software / websites / Device. That’s cool! Does NAV also have a UI kit like SAP has (http://openui5.org/) ? Actually I don’t need code separately for web application / tablet application. Whatever we develop in windows application gets rendered in browser as well as Tablet with HTML5. This also has the support of SOAP, ODATA and Jason. Though we need to follow certain guidelines while developing any interface targeted specifically to Tablet. Wouldn’t the NAV Universal App for Smartphones and Tablets theoretically also work with the Windows 10 IoT Enterprise? Theoretically Yes. But I have not tested the same. As per features of Windows 10 IOT enterprise – ‘Windows 10 IoT Enterprise supports both Universal Windows apps and Classic Windows applications plus a host of innovative capabilities’.